In the heating, ventilation and air conditioning (HVAC) industry, tons are used as a way to measure an air conditioner's cooling capacity. In particular, one HVAC ton is equivalent to 12,000 BTUs per hour. One BTU refers to the amount of heat required to raise the temperature of 1 lb. of water by 1 degree Fahrenheit. To convert tons to amps, you must first convert tons to BTUs per hour, after which you can convert this value to watts, then use the formula amps = watts / volts to solve for amps. Convert tons to BTUs per hour by multiplying it by 12,000. 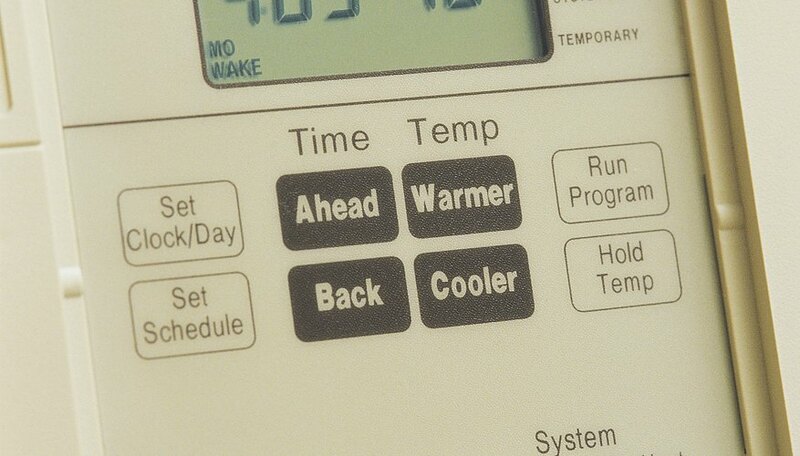 Given an air conditioner with 2 tons of cooling power, for instance, multiply two by 12,000 to get 24,000 BTUs / hour. Multiply BTUs / hour by .293 to convert it to watts. Given the example, multiply 24,000 by .293 to obtain 7032 watts. Divide watts by the given voltage value. Air conditioners in the United States operate on 120 volts, so given the example, divide 7032 watts by 120 volts to obtain a final answer of 58.6 amps. Saxena, Vivek. "How to Convert HVAC Tons to Amps." Sciencing, https://sciencing.com/convert-hvac-tons-amps-12059249.html. 24 April 2017.